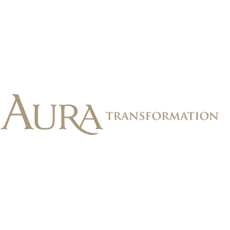 The "Attraction Accelerated Weekend Workshop" from Aura Transformation is a 3-day of in-field instruction, hands-on lessons, seminars, role-plays, drills, and exercises specially made for Singaporean (and other Asian) men. "This One Weekend Changed My Life "
This is for the Attraction Accelerated Weekend Workshop with David the Asian Rake. Just wrote a review here but before I could save it, it got deleted, so this vesion is going to be briefer. There was one other student from Hong Kong. I am living in Singapore now and took schooling overseas. I keep telling people that this weekend changed my life. I've taken other bootcamps with coaches in Asia, but this one was really special. First of all, the Asian Rake was absolutely amazing. He's everything his testimonials say he is and even more. He never let me wuss out, even identifying little things I'd say to myself that were giving away my insecurities and limiting my self-confidence. He could also be really encouraging too. You could tell he's had a lot of teaching experience. And he really knew how to speak directly to my personal strengths and weaknesses. Second of all, I've watched, read, and listened to mountains of seduction resources, but David taught us lessons I've never heard about before, and in a way that made everything much simpler and easy to grasp. He focuses on natural and direct game more as he says he doesn't like to waste time and it's better suited to Singapore and Asia. However, he did give us lots of openers and material we could use if our minds went blank. And we drilled a few of these until we could do them smoothly. He also focused a lot on body language, tonality, eye contact, moving, and positioning, giving personal attention to each of us. On the second night of the bootcamp, I made out with a girl within 5 minutes of meeting her and within a half hour of entering the club. I had never even had a club makeout before in my life! David winged for me, so that I had permission from the other two girls to talk to my girl. David directed me to take her to the corner of the club where it was more secluded and she and I made out for over an hour while bonding over shared secrets. I really fell for this girl. She knew some other people in the club and whenever her other friends came by, I noticed David watching, and he had to come over to wing/AMOG a couple of times when these big dudes were distracting her. And then I got David's text to bounce her out of the club, which I did. That was my first time taking a girl home and going all the way on the same night. On the last day of the bootcamp, David went over all the long-term lessons, like what to do on the date, how to follow up over phone and text, and how to manage relationships into whatever type you want. This really changed my life. Just one month after the bootcamp, I had slept with the three most gorgeous girls I've ever had in my life. Two of them have developed into consistent FB relationships, which I had never thought was even possible to do in Singapore. This one weekend really did change my entire life. Yes, it's more expensive than any other bootcamp in Asia, but it will repay itself a hundred times over and even more because these are skills and mindsets you'll carry with you for the rest of your life. "Attraction Accelerated Weekend Workshop - Review"
A bit of background about myself. I come from a conservative family and have a pretty decent lifestyle - including education, career and social circle. A few great relationships in the past but not much extensive experience in cold approaching. Typically when I go out it's to hang out with friends and not to specifically meet women. Never even had a kiss from a cold approach. Recently had the privilege to attend Dr Asian Rake's Attraction Accelerated Weekend Workshop (http://www.auradating.com/upcoming-events/attraction-accelerated-weekend-workshop.html) in Singapore. It consists of a 3-day program, with about 22 hours of coaching overall (including in-field coaching of about 8 hours). Covered a lot of theoretical material but also plenty of practice and exercises. Instructor Dr Asian Rake is everything as described in his promotional material. Smart, charming, charismatic and with plenty of experiences to share. He also happens to be an ex-professor at a university so he can teach and coach very well. You get the feeling that he really cares about his students' progress and well-being too. Particularly valuable were the in-field sessions. Dr Asian Rake brought along another instructor to help observe and push me to improve. Not exactly the most comfortable/natural thing for me to approach, but with the great support and help from the coaches I was able to do it with great success. Results - a lot of cold approaches and great conversations on the first night. Second night was even better - met a great girl and we were sharing kisses at the VIP area within 15 minutes. Followed by a great after party at a friend's place. The workshop is a great jump start but it also includes information on how to further improve everyday in the long term. Already seeing great incremental changes in my own life. Another great thing is that Dr Asian Rake does not push you to be someone that you do not want to be or adopt any values that you disagree with (for whatever reason - cultural, religious or otherwise). No matter who you are, you will definitely improve with women upon completion of this program. Highly recommended for asian men.